Annual Christmas Party at the Dale Club, Jacksdale. Annual Free Concert at the Dale Club, Jacksdale. 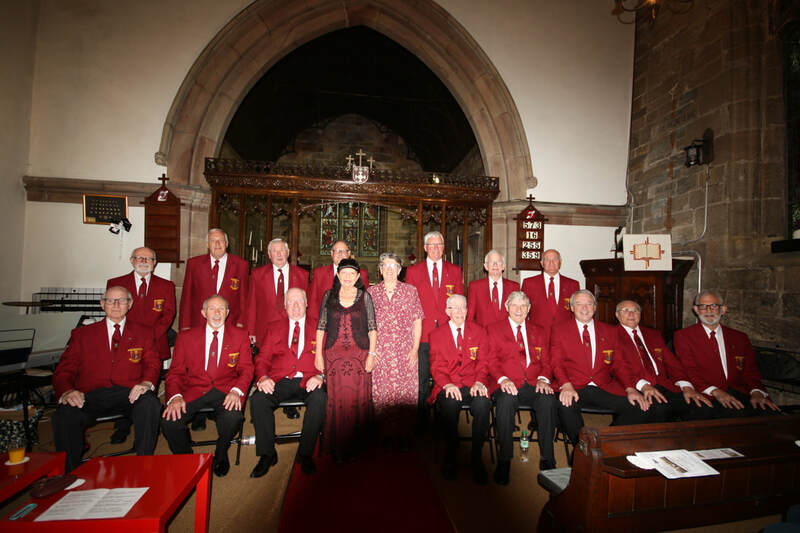 Although the choir has Quite a full concert programme for the year, we are also available to give concerts for your private function. We are now taking bookings for this year and next. 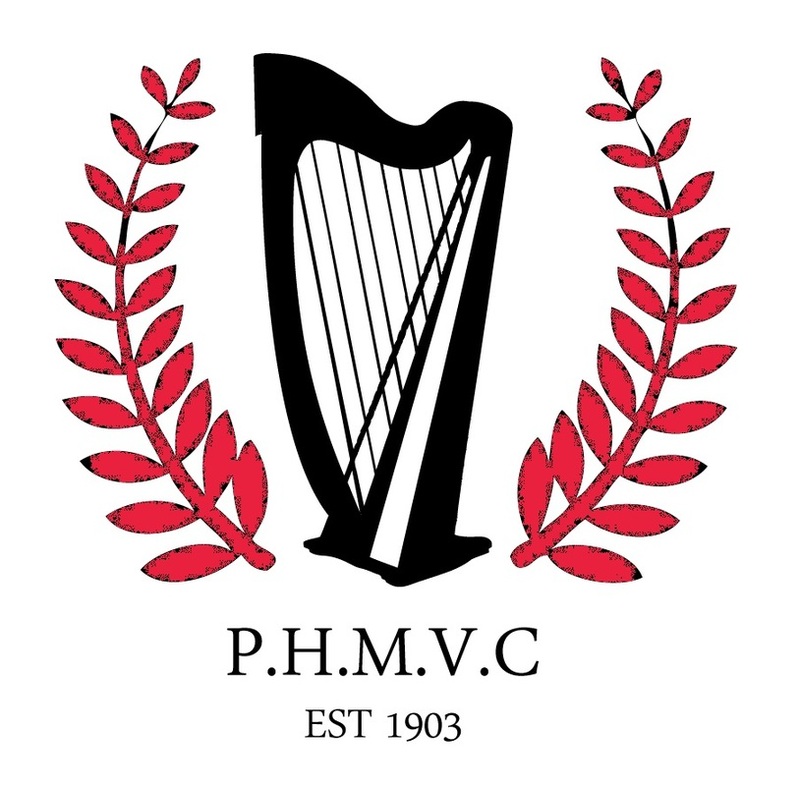 Our fees are very reasonable and, if you are interested to find out more please contact our Chairman, Vice Chairman or Musical Director who would be pleased to hear from you. 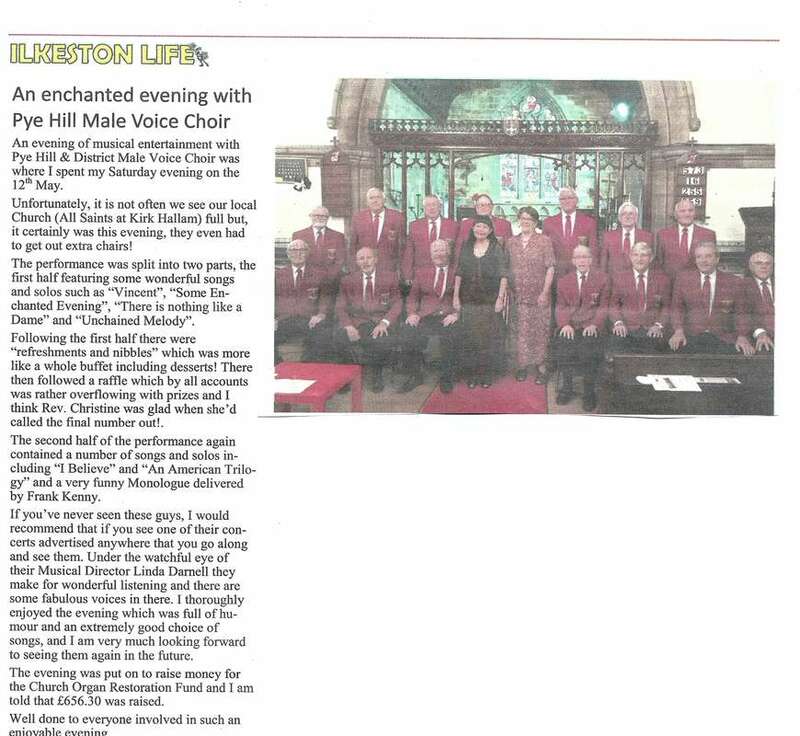 This year we sing in Wales, home of Male Voice singing! Social Events are arranged at various times during the year for members, families and friends.These are always ‘good fun’ occasions! Many family members and friends attend our concerts too. to help make it a sell-out event. has so far raised in excess of £850. This is being used to sponsor charity concerts. John has absorbed a fair bit of the cost of timber himself and looks on it as a donation to the choir. He has arranged a further concert at his own church at Kirk Hallam, sponsored by sale of the bird boxes. 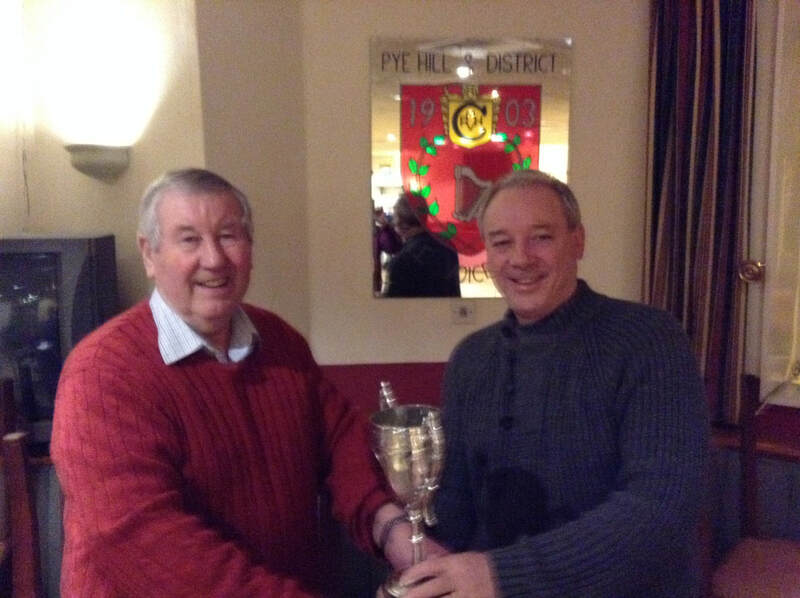 During 2017, John has undertaken a number of tasks on behalf of the choir, e.g, fixing a recruitment banner to the Dale Club, making a presentation gift for the retiring President and making stands for the MD and also putting Malcolm in touch with the Ilkeston Press who ran a recruiting article for us. John is of a pleasant, kind disposition who shows concern for other choir members and in his own quiet way has made a significant contribution to the choir since joining and particularly over the last year and has become a valued member of the second tenor section of the choir. Are you interested in supporting the choir, perhaps by becoming a Patron or Friend of the Choir? If so, please contact Malcolm Hill on 07706 036946 for further details.